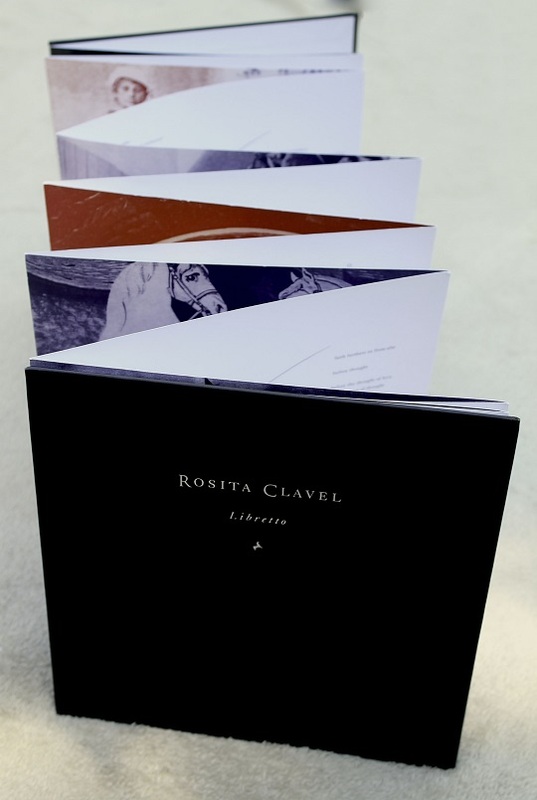 What is an accordion bound book? 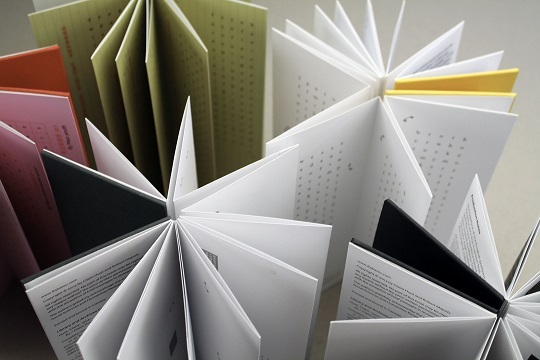 It’s a unique binding method that has each page of the book as one continuous sheet. The front of the first panel is glued to the front cover and the back of the last panel is glued to the back cover. What you have is an accordion folded book! The image above shows a job we produced, which had 5 different cover colours, each colour in equal quantity. 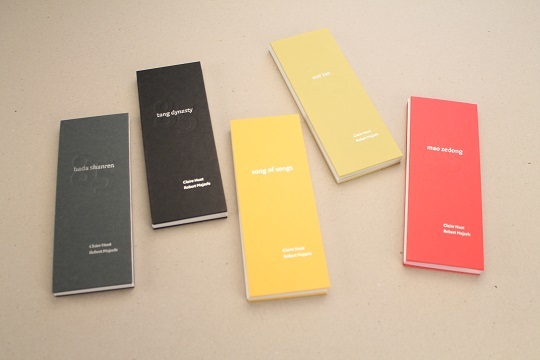 As you can see, the colours are amazing as well as the dimensions of each book – tall and narrow. The most interesting part of these books, though, is the style of binding! 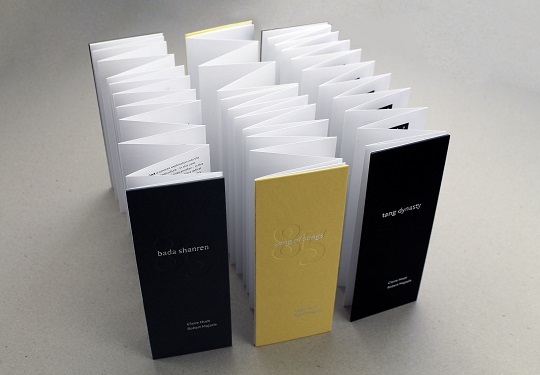 We recommend that for the folded pages, you use a stock weight between 80lb text to 10pt cover. The number of pages can range from three panels to dozens of panels. To accomplish books with a large number of folds, we can glue folded sections together. The use for this type of binding is great for event invitations to art books. As for the covers, they can be anything from board case wrapped with paper, cloth or man-made material like faux leather. Both covers have to be the same size, but as far as the overall size of the book, basically the only limit is your imagination. We can do portrait or landscape and little to large sizes!